Rugged construction survives unintentional drops to concrete and exposure to water and dust. 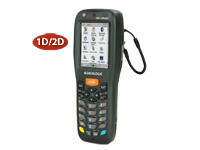 Capitalizing on Datalogic’’s legendary ergonomics, the PDA packs unprecedented features into a compact form factor built for single handed use. Use of an accelerometer eliminates awkward presentation of on screen data and a unique guitar pick stylus provides for intuitive touch screen navigation. 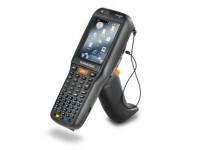 Both a 1D laser scanner and 2D bar code imager enable a wide array of bar codes seen across diverse enterprises. 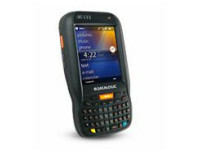 Both have Datalogic’s patented Green Spot good read technology to improve user efficiency. 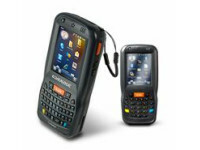 The PDA provides four wireless technologies in the same form factor: Bluetooth EDR for fast data transfer, 802.11 a/b/g with Cisco Certified security, UMTS HSDPA for real-time communication outside the enterprise Assisted GPS (A-GPS) with Skyhook‘s Core Engine hybrid positioning system for location based applications. 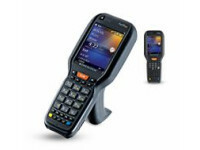 Elf™ offers the latest Windows Mobile 6.5 or CE 6.0 platform, with the Datalogic SDK and tools for integrating voice, pictures, and video to create or enhance existing mobility software solutions. Wavelink® device management tools make Elf™ a simple device to both deploy and maintain. Auto discriminates all standard 1D codes including GS1 DataBar™ linear codes. The Users Guide has the complete list of certifications.